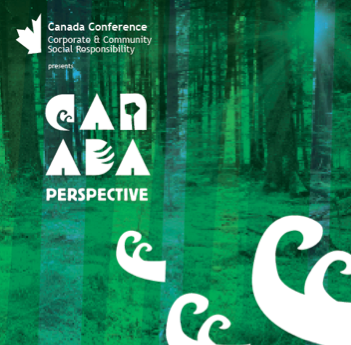 The 5th annual Corporate and Community Social Responsibility (CCSR) Conference will be held on Tuesday, November 6th, 2012 at Algonquin College in Ottawa to celebrate and showcase excellence in CCSR. Participants will engage with experts from around the country and beyond to learn new ways that corporations work with their community and NGOs, and how such relationships improve productivity and enhance the bottom line. As Canada’s largest CCSR conference, the event should be a great overview of current trends and practices in the CSR field. Notable speakers such as Tom Rand (Managing Director, MaRS Cleantech Fund), David Pell (President, StreetKids.ORG), Andreas Souvaliotis (Social Entrepreneur) and Bruce Piascki (President and Founder, AHC Group). They and others will speak on a range of topics from environmental leadership and social investment to consumerism and the role Millennials play in shaping our future. Conference participants can dive into a range of topics themselves in a series of “Good Business” Workshops. These will provide opportunities for everyone to share ideas and opinions in Leader-to-Leader sessions. They can also dialogue on corporate shared values and government/community integration. Celebrating success plays a huge role in supporting the CCSR movement. An evening gala will honour winners of the Lizards’ Den Contest Winners, the Social Innovation Enterprise Award, the Corporate Social Responsibility Award and the Business Ethics Award. Keynote presentations will be given by Amir Dossal (former UN Chief Liaison for Partnerships), and Mario Pilozzi (Former CEO, Wal-Mart Canada).